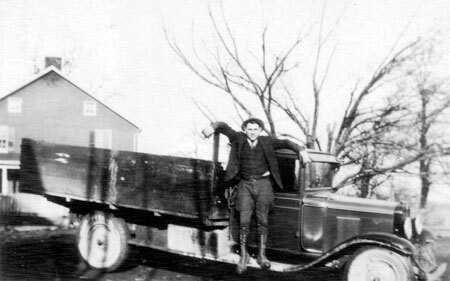 In 1929, Mr. Charles Karper began operating one straight truck on a milk route in Chambersburg, Pennsylvania. 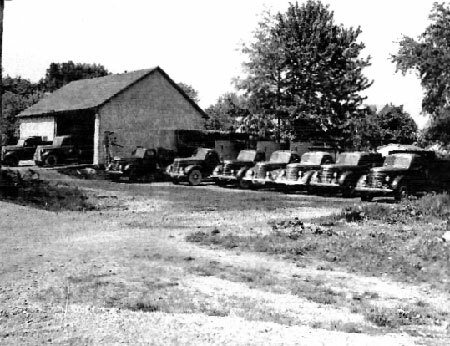 He continued to add equipment and grow with the building of Letterkenny Army Depot, the Pennsylvania Turnpike, and throughout the World War II Period. Immediately following the war, the states approved an increased weight limit which encouraged the change from straight trucks into tractor-trailer combinations. The business slowly grew as additional authority was obtained from both the Pennsylvania Public Utility Commission and the Interstate Commerce Commission. The company was originally located at Mr. Karper's family farm in Letterkenny Township, Pennsylvania. 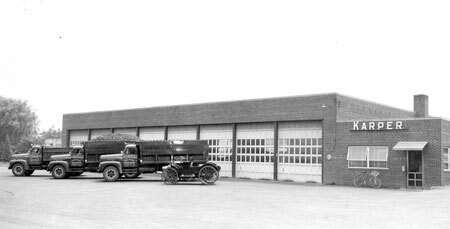 In 1935, Mr. Karper moved to Coldbrook Avenue, in Chambersburg, PA and built a two-bay garage behind his home to house the business. In 1947, the business relocated to a new eight-bay facility at 144 S. Eighth Street, Chambersburg, PA. In the mid 1950's, Mr. Karper purchased a small trucking business in Winchester, Virginia. Contract Carrier Authority was then granted for hauling between points in the state of Virginia. Mr. Karper's son-in-laws eventually came to work for his business. (Richard Smith in 1961 and Jerry Miller in 1970) The two played an important role in the company growth and development. In 1976, the corporation constructed a new terminal facility on six acres of ground at 40 Industrial Drive, Chambersburg, PA. This is the present main office facility. Eventually, the 3rd generation came to work for the family business starting in 1982.